Our garden did really well this year, and it’s so nice to go out and pick a fresh tomato or cucumber for lunch or dinner. We planted lots of tomatoes this year because the last two years I haven’t been able to can any at all. They either had the blight or didn’t produce enough to even bother with the canning. 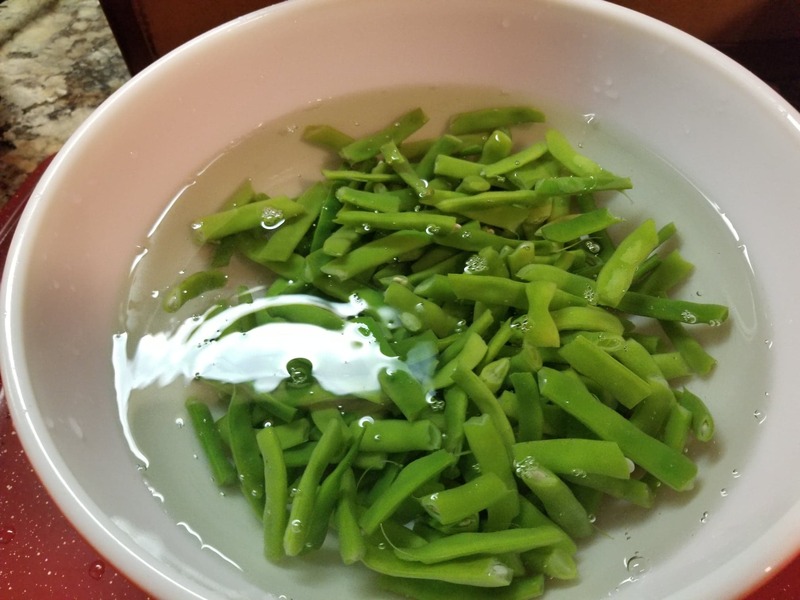 It’s kind of that way with the green beans when they first start producing. You only get a few at a time. 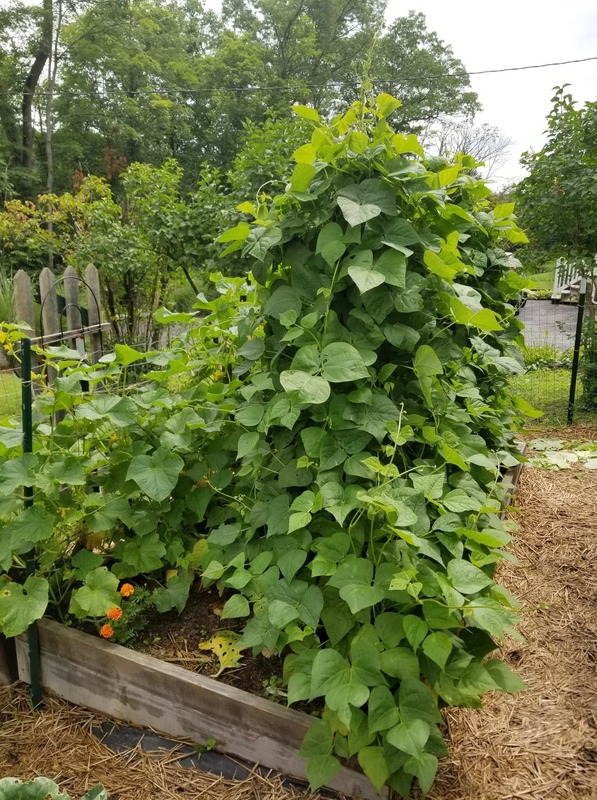 This year my hubby did climbing beans and boy did they grow big! Yesterday, he picked some green beans, he only got enough to fill half a Walmart grocery bag. So instead of doing all the work to can them in my pressure canner, I decided I would just freeze them. 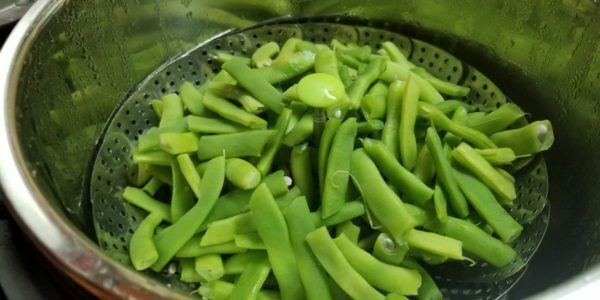 In order to freeze them, you need to blanche them first, so here comes my Instant Pot to the rescue. First, I snapped the ends off and then broke the beans into pieces and washed them thoroughly. I put one cup of water in the inner liner of the Instant Pot. 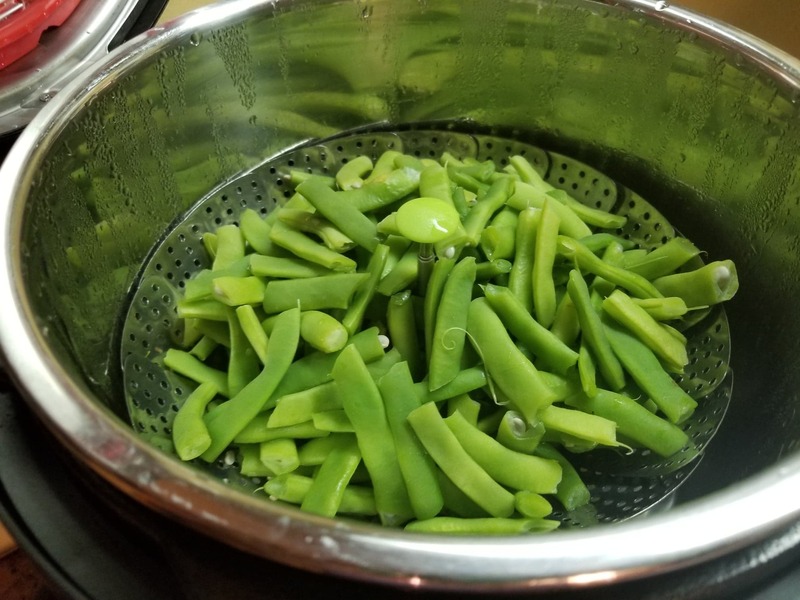 Inserted my steamer basket and put the beans in the basket. I set the Instant Pot on Manual for 1 minute, then did a Quick Release! A Quick Release is when you immediately release the steam from the Instant Pot. After 1 minute and doing the quick release, I plunged them into a bowl of ice water to stop the cooking process.. 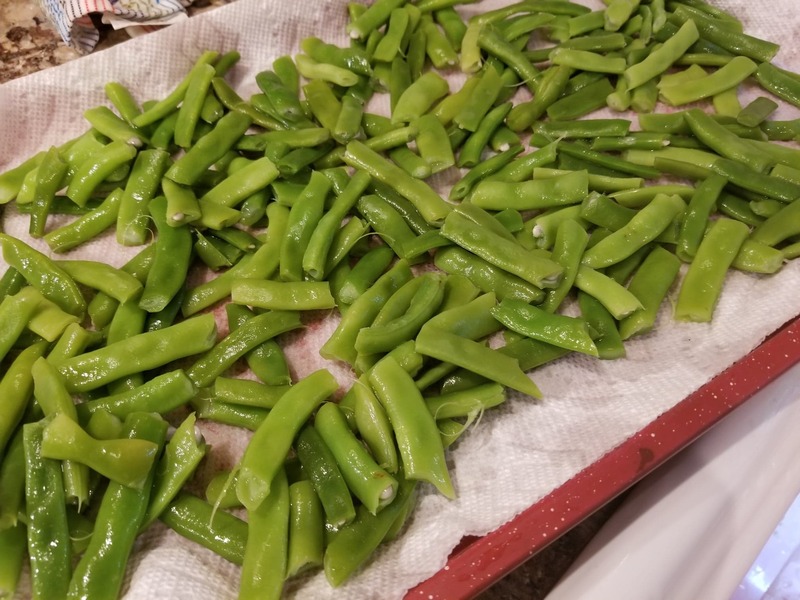 I then lined a cookie sheet with paper towels and put the green beans on it to blot up the excess water. I also took a piece of paper towel and blotted them on top. 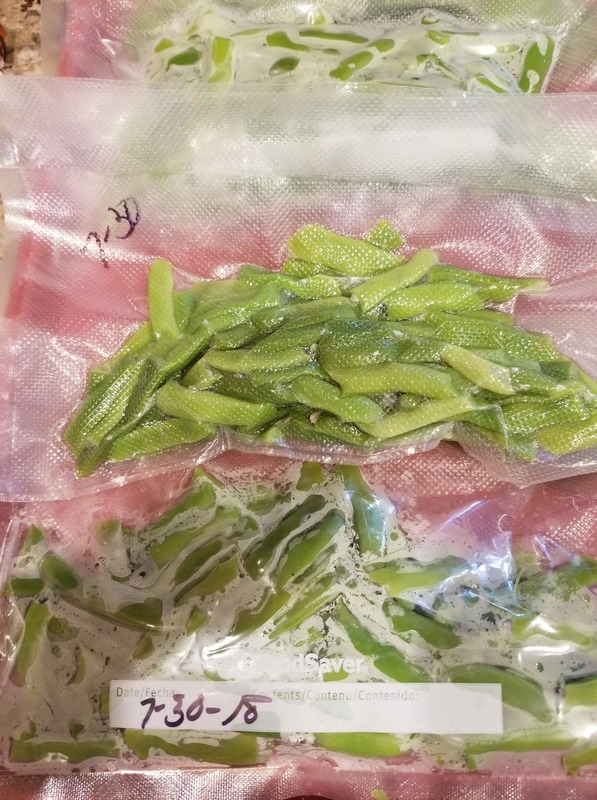 At this point, you can put them into your freezer bags or freezer containers. 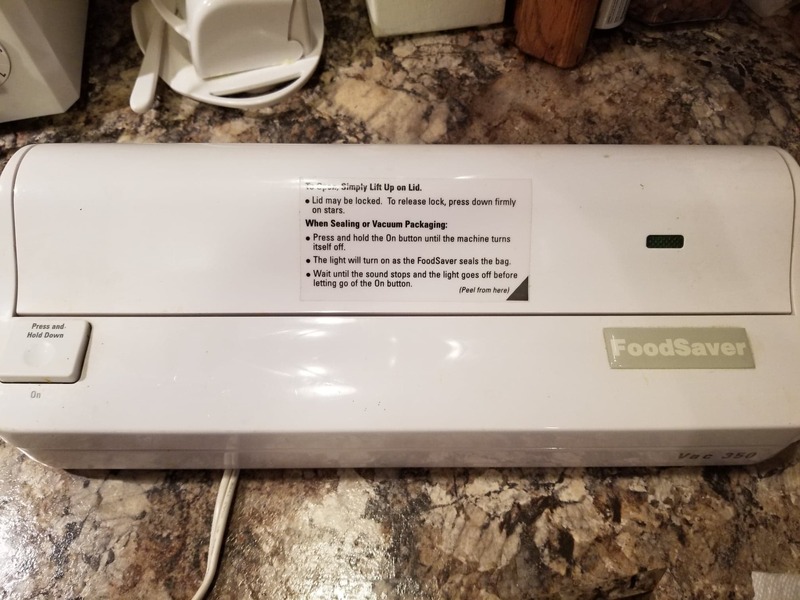 I used my Food Saver Vacuum Sealer. 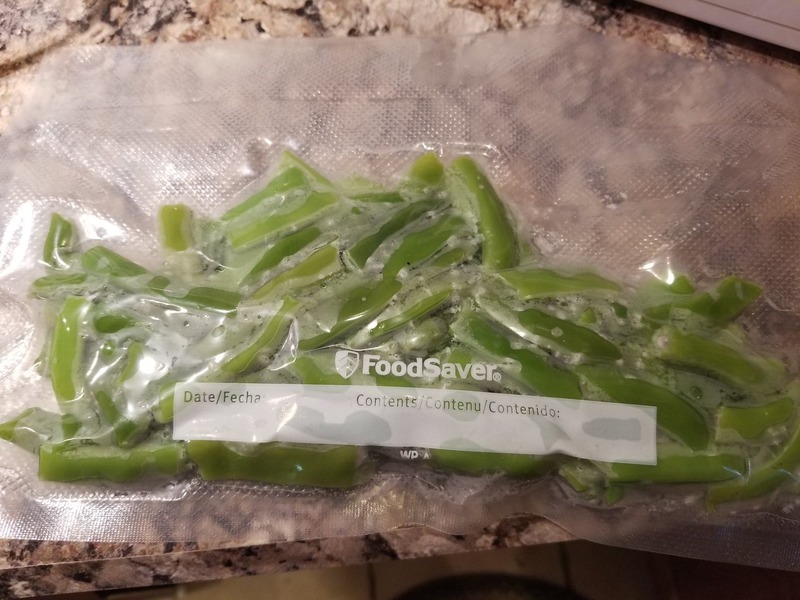 This will keep them fresher since it takes out all the air out of the bag. It’s been a while since I’ve used this, I almost forgot where I had it stored! 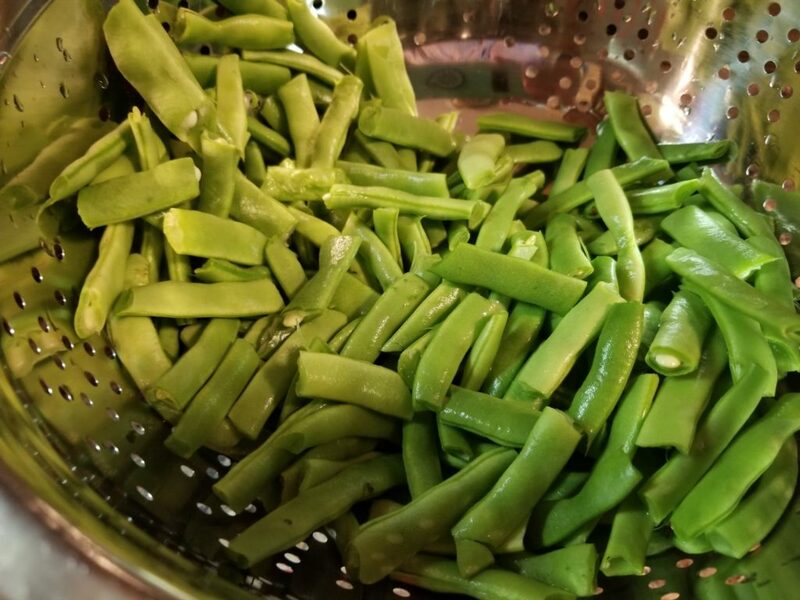 Since it’s only my hubby and me, I only put enough green beans in for one meal. You can also write the date on so you know when they went into the freezer. 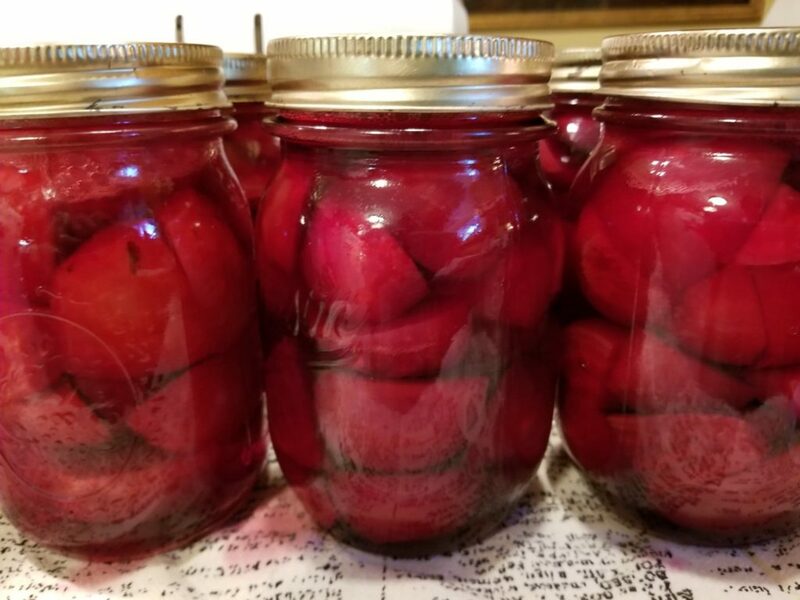 I’ve used my instant pot for preparing my beets for canning! What a time saver that was! I put them in the Instant Pot for 12 minutes so I could get the skins off. Then processed them the old fashioned way in my stove top pressure cooker. I don’t know what I did before owning my Instant Pot! I use it almost daily! Use PROMO CODE: TTT10OFF to receive $10 off ANY Instant Pot at the checkout. FREE SHIPPING too. If you want to follow my Instant Pot board on Pinterest, click HERE. All the recipes I used you will find there! 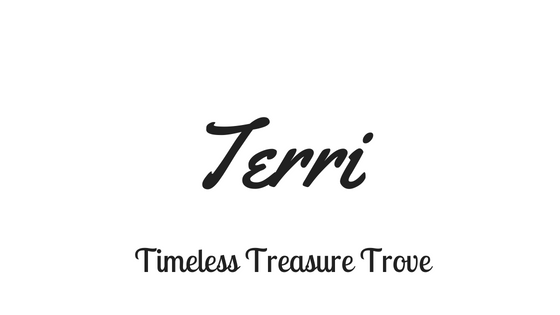 If you have any questions, you can find me on Facebook HERE! I also have a Facebook Instant Pot Group called TTT Instant Pot Tip and Recipes, you can request to join my group.